You won’t be learning anything you didn’t already know when you’re told Paris is a first rank cinematic – or Seine-ematic – go-to site for hundreds of filmmakers. Download the sheet by clicking the Export button and deciding next between the Télécharger en CSV or Excel links, stationed immediately beneath those respective headings. Experience would point me to the CSV alternative, because I’ve met with occasional file-truncation issues in the Excel mode and portlier file sizes besides. Start by whisking both into your system – but make sure to save both varieties to XLSX format (after you’d swerved past roadblocks like the one pictured below), and you’ll be advised that the dedicated Excel offering checks in at 612 KB, about 30% weightier than the CSV 477 KB – but either way, your hard drive will find itself swallowing an eminently digestible byte count. 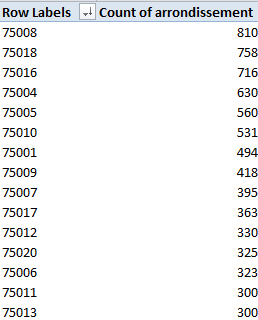 Now, while I’ll ultimately want to migrate to the Excel version in this case – its data have already tucked themselves into their appointed columns, for one thing – there is an attention-getting contingency in the CSV that you may want to think about. Don’t worry about the shortfalls in column width here; look instead at the geo_coordinates field, comprising location latitudes – and only latitudes, the cartographic equivalent of a stick with one end. This is literally a case of you can’t get there from here – because, after all, spreadsheet mapping of any species is adamantly two-dimensional; got no longitudes, got no map. So wither the longitudes? I tweeted this question to Open Data Paris and received a couple of kind replies (one from a private Tweeter), neither of which quite relieved my curiosity, perhaps because I hadn’t specified I was looking at the CSV variation on the theme. But when I reloaded the CSV offering and eyed the data anew I actually beheld those fugitive longitudes, presenting their credentials right there in column B. And where did had these data gone, then? They had, in fact, been dispossessed by the Text to Columns routine, at the point when we chose to click OK to the “Do you want to replace the contents of the destination cells?” request, an inquiry which means exactly what it says – namely, that Text to Columns proceeds to overrun and overwrite all the entries in the columns into which it parses and empties its data. Bottom line: indulge your itchy trigger finger on Text to Columns, and you wipe out the longitudes in column B. The way out? I’d copy the longitudes first, paste them somewhere far away (onto a new sheet, perhaps), step through Text to Columns, and copy and paste the longitudes alongside what should now be the latitudes field (that is, the next available column). But that episode was a trailer of sorts. Let’s get back to the main attraction – the Excel-versioned download – for some close-up shots of the data. Click Wrap Text, double-click of couple column autofits, and all the data will begin to squint in the daylight. Next, we see that the geo-coordinates field embraces both site latitude and longitudes (in that order), and so a necessary separation need be effected with Text to Columns (the data are Delimited, and check the comma delimiter in Step 2). Label the new independent columns Latitude and Longitude (and you’d probably want to autofit Latitude in column J). in the box, the range down which all data-laden cells happen to stretch (there are some blanks in the range, by the way), and press Enter. Once that cell-specific deed is done, click the error marker and select Ignore Error. We see that the 8th Arrondissement (arrondissements are prefixed 750), subsuming the Champs Elyseés among other venues, ranks as number one scene stealer, with the 18th (think Montmatre) and the posh 16th holding down positions two and three (observe that the Eiffel Tower, standing bestride the 7th Arrondissement, finishes out of the medal running in a far away 9th place; but the stirring sightings of the structure obtain from the 8th, just across the river). 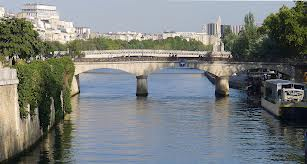 It’s also more than a little noteworthy that all 20 of Paris’ arrondissements were deemed scene-worthy, each attracting at least 185 shootings. But there’s another problem with our pivot table, a conceptual one. But this post has gone on long enough; do we need to cut 20 minutes from it? Hope to a have a sequel soon. In the meantime, here’s some popcorn.